Hampton Roads Publishing, 9781571747303, 288pp. Everyone needs teachers and companions to guide and nurture us in developing rich interior lives -- as we seek to respond to the beatifying, deifying love of God. The mystics, whose legacy includes sublime poetry, fascinating autobiographies, and potentially life-changing teachings, can help anyone find greater love, purpose, and a deeper sense of God's presence. 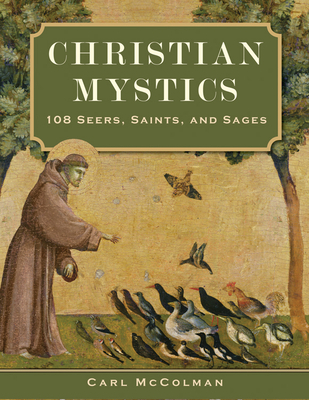 All of the most famous Christian mystics are profiled here: figures like Teresa of Ávila, Meister Eckhart, Julian of Norwich, John of the Cross, Evelyn Underhill, Thomas Merton, and anonymous masters like the authors of classics like The Cloud of Unknowing or The Way of a Pilgrim. But the book also will introduce you to many lesser known (but truly wonderful) mystical geniuses, such as Beatrice of Nazareth, Gregory of Narek, and Coventry Patmore. Nor does the book shy away from living (or recently living) mystics: visionaries such as Howard Thurman, Sara Grant, Kenneth Leech, and Bruno Barnhart are all included. "Read a page a day of this sacred book, and you will surely tap into the mystic wisdom and love of your own heart." --Robert Holden, author of Life Loves You! and Shift Happens!